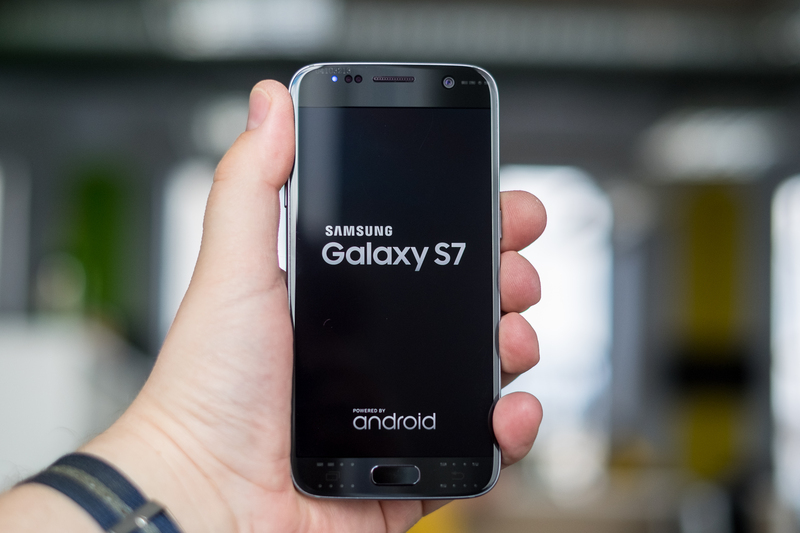 The Samsung Galaxy S7 and S7 Edge have recently landed, receiving mass critical acclaim for their speed, cutting edge feature set and impressive battery performance. The Galaxy S7 features a 3000mAh and the Galaxy S7 Edge uses a 3600mAh battery, each of which is larger than those batteries used in last year’s S6 and S6 Edge. As they age, older folks become more interested in how they can extend their lives through exercise and diet. Most of our customers aren’t there yet – they’re more focused on extending the life of their smartphone batteries. There are several tricks of the trade that can help you get a better performance out of your phone, especially for the Samsung Galaxy S7 battery and the S7 Edge. One quick and easy way to save battery life is to disable the new Always-on Display. Always-On can be quite useful if you want to see simple and pertinent info like Time, Date, Battery Life…etc. But if you’re not using it, then why waste the battery life (drain is only half a percent per hour)? To disable the Always-on Display, navigate to your Settings and select Always-on Display. There, it can be toggled on or off. When you get a new phone, we suggest always deleting any “bloatware” or unwanted apps that came with it. This is a sure way to save space and improve battery life on your Samsung Galaxy device. You can easily delete multiple apps at a time by entering the App Drawer. At the top right corner, find and press “Edit,” then select which apps you would like to uninstall. Additionally, for constant awareness of the strain on your battery, we recommend becoming familiar with how much battery life is required to run each of your more regularly used apps. 3. Make Sure “Fast Cable Charging” is Enabled. This one will make your new Galaxy S7 device a bit warm. Regardless, the tradeoff is exceptionally fast charging. You can get 50% of the battery’s max charge in just 10 minutes. If disabled, head into Settings > Battery > turn on “Fast Cable”. It’s simple and really helps get you back in the game quickly from a dead battery. 4. Enable Ultra Power Saving Mode. Samsung has tossed in two modes for saving power plainly dubbed, “Power Saving mode” and “Ultra Power Saving mode.” These can be found in Settings under Battery. You can choose for either mode to kick in immediately or at different percentages of battery life (5%, 15%, 20% and 50%). Power saving will prevent apps from fetching new data. Note that Ultra Power Saving is a bit more restrictive—disabling colors and virtually all apps on the device. Only Phone, Messages and Internet will remain to help preserve battery life. Samsung devices allow you to control your display’s brightness, even when it’s on the auto setting. This feature happens to be one of the most power-sucking components of your Samsung device. Be more conservative with the brightness, and your battery will definitely thank you. 6. Turn Off Edge Screen Features. This is obviously less desirable for owners of the S7 Edge. Surely the Edge Screen was part of the allure. But again, if you’re not using the Edge features, then disabling them will help extend your battery life. That about wraps it up. Did we miss anything? Have you stumbled upon any helpful tips or tricks to extend the battery life of your new Samsung Galaxy?